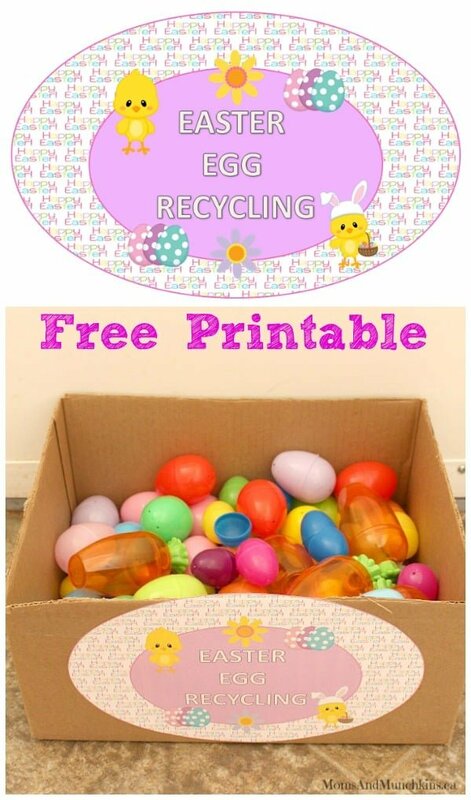 Recycling Easter Eggs – Free Printable! Wondering what to do with the plastic leftover Easter eggs until next year? We have a fun new tradition of “recycling” them in the Easter Bunny’s official recycling program. 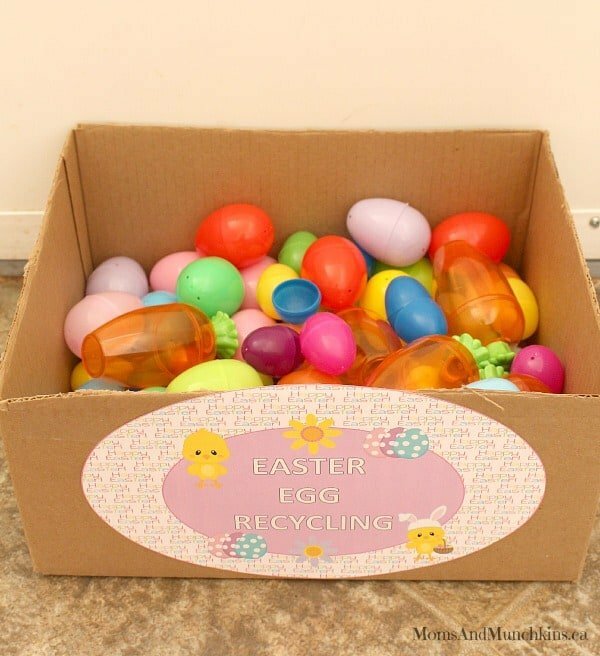 Simply use this free printable Easter Egg Recycling tag and leave them outside for the Easter Bunny’s special helpers to pick up over night. Your kids will wake up the morning after to find that their plastic Easter Eggs have been picked up to be recycled. I’m guessing that the Easter Bunny has some sort of special tracking system to make sure you get the same eggs back next year filled with treats. Hooray! This year was the first year my son had a real Easter Egg Scavenger Hunt. He’ll be three years old in a couple of weeks. I wasn’t sure if he’d understand game of finding eggs but he was right into it and found them so quickly! It took him a little while to realize that there were actually things inside of the egg like candy and stickers. As soon as he realized that he shouted “Wow!”. He’s so adorable! He has a peanut and tree nut allergy plus he doesn’t like chocolate (that is so unlike me!) so the Easter Bunny left him fruit snacks, fruit gummies and stickers. So far my husband has been gobbling up the treats as my son seems to be more interested in opening each of them up. Does your family have any special Easter traditions? For more fun Easter ideas, visit our special page dedicated to Easter activities. I hope everyone had a wonderful Easter celebration with their families. The sun is shining so we’re going to enjoy some family time outside today! Your blog is so nice and its really useful for us. it will also informative and very important for every windows operators, so please try to get free knowledge about the desktop icon adjusting.